4 Stars | Live. Laugh. Read. I really enjoyed this novel. Admittedly, it took me a while to get into the story, but even when I couldn’t I really enjoyed the writing. I found More Than This to be a pretty solid read. I always hear people (particularly on BookTube) say that they want to go into a particular book blind. Until now, I have never really understood that feeling. The synopsis is in itself rather vague and I feel that was the intention. 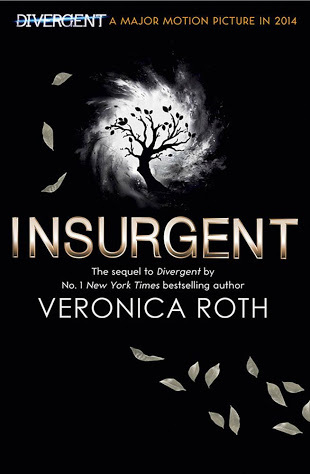 Also, John Green blurbed this book (just saying). 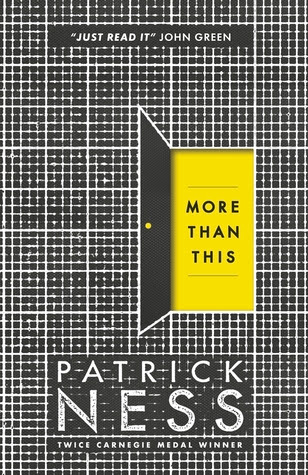 If left to my own devices, I don’t think that I would have picked up this novel (it was a Kris Kringle gift that I received last year), but I am really glad that I read it and am looking forward to picking up Patrick Ness’ Chaos Walking trilogy. To quote John Green, “Just read it”. Simon learns the worst crime a Shadowhunter can commit: desertion of their comrades. In the early nineteenth century, Tobias Herondale abandoned his fellow Shadowhunters in the heat of battle and left them to die. His life was forfeit, but Tobias never returned, and the Clave claimed his wife’s life in exchange for Tobias’s. Simon and his fellow students are shocked to learn of this brutality, especially when it is revealed the woman was pregnant. 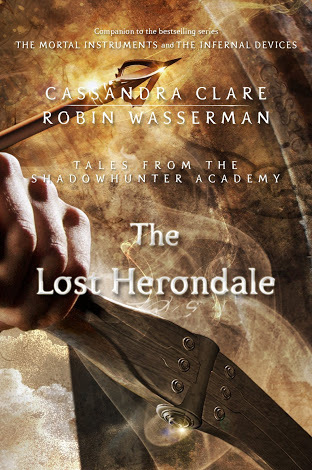 But what if the child survived…could there be a lost Herondale line out in the world today? Like every Cassandra Clare book, I absolutely adored The Lost Herondale. It was fun to read; we saw old friends, the story was interesting and the character development was great. Most of all, I loved hearing from Simon again – his humor and nerdiness are particularly of note. My two favorite scenes of The Lost Herondale would have to be the one where Catrina details the (full) story of Tobias Herondale and the concluding scene. Julian and Emma are so adorable together! I ship it so much… When Emma was recalling the memories of Julian and her? I may or may not have squealed and gushed and awwed. You know, maybe. 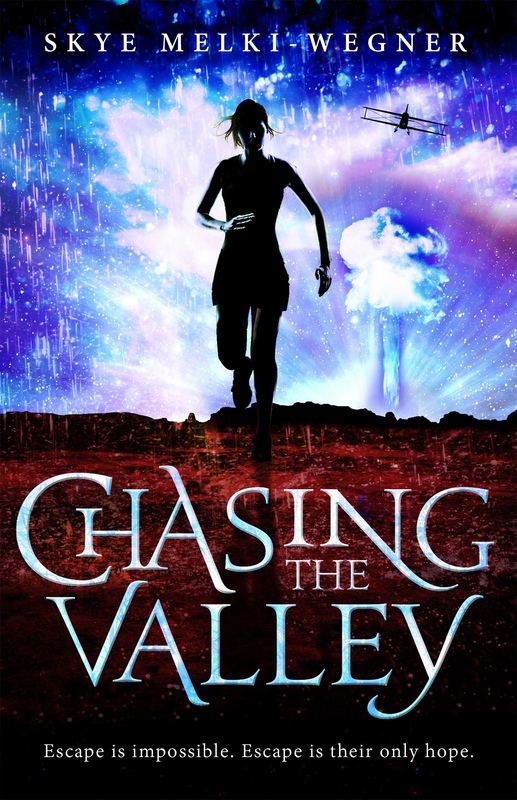 Combining magic, alchemy, fantasy and adventure, Chasing the Valley is a quick, enjoyable read. At first, I wasn’t quite sure what to make of the characters – none of them immediately stood out, there didn’t seem to be anything extraordinary about them. However, this worked in their favour, added to their appeal. The characters were very easy to relate to because, while they all had their strengths, they were thrust into an unfamiliar environment and forced to adapt. They made mistakes, fought, formed relationships, solved problems, and were so utterly human. Their talents at first seemed either irrelevant or under-developed, but the most seemingly irrelevant things ended up saving them. Maisy’s book smarts, Clementine’s sparkly clothes, Teddy’s bravado, that old song that lead them true – all of which helped them out, maybe even saving their lives. They were nothing extraordinary – just ordinary teenagers – but their experiences shaped them and forced them to grow and discover within themselves and as a team. There were certainly no Mary-Sues. The world-building was interesting and very well-done. Information was gradually added though character interactions – they came from such different walks of life that it was only natural for them to elaborate upon the differences – as well as when the characters experienced new discoveries. The magic was prominent but not overdone, able to be used but not a first resort. Overall, an interesting, easy read for lovers of fantasy and magic. While not my absolute favourite, I did quite enjoy Chasing the Valley and look forward to the rest of the trilogy. Daine’s dragonling, Kitten, helps an outcast from society. A tree, made human by Numair, must learn the intricacies of being a man. Despite the laws of her patriarchal society, a girl wants to learn…and teach. A contemporary teen tries to fit in with the cool group at school, at a terrible price. A darking shows a self-doubting math genius how smart she can be. Nawat the crow-man faces a choice no father wants to make. What happens when you lose a lethal lottery? A young girl fights a proven warrior to protect her sister’s honor. When trying out a new housemother, how hard do you push? Arimu of the Wind People meets a poet from the Veiled City. 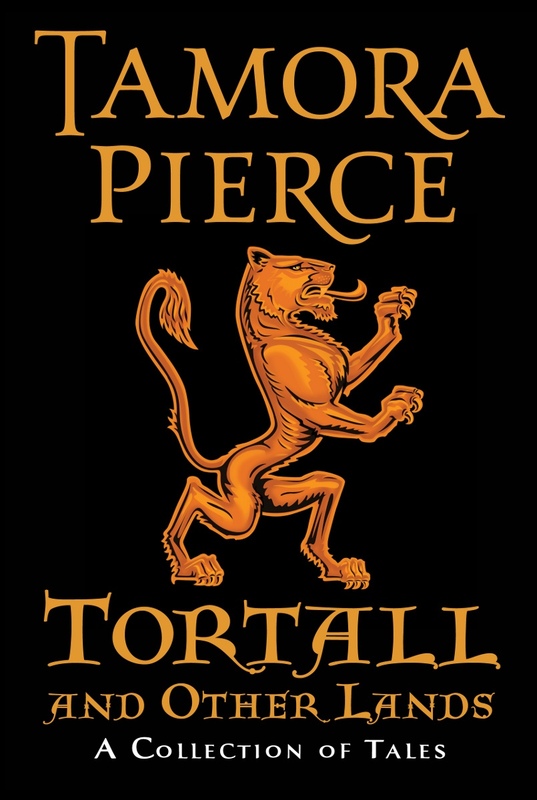 I rather enjoyed this collection of short stories – I adore Tamora Pierce’s work and it was great to slip back into her writing. To be honest, I’m really not sure which was my favourite! I think I’m torn between Lost, The Dragon’s Tale, Mimic and The Hidden Girl. Though I did enjoy them all. I’m not quite sure how I feel about the last two tales, (Huntress and Testing) as they are set in modern time, America. They were both great stories, but I felt they kind of interrupted the fantasy/alternate medieval vibe Tamora has going for her… I don’t know why, but I kind of hopes they’d be a modern-day Tortall or adjoining lands. An easy, enjoyable, on-the fly kind of book (or maybe that’s because I’ve been reading all my books that way recently?) Anyway, I definitely recommend this to all Tamora Pierce fans out there! Especially those who wonder about side characters or “what happened after”. Aaaaaaand here it is! The final review ;). 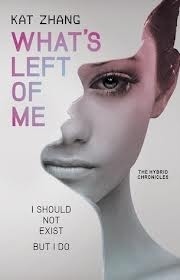 Thank you go those of you who have travelled with Stefanie and I this week as we’ve progressed through Kat Zhang’s first instalment of the Hybrid Chronicles What’s Left of Me. I would also like to thank lilnerdling for allowing me to borrow her copy of this book and Stefanie for buddy-reading with me. What’s Left of Me is a dystopian novel based in a world of hybrids – that is, two souls in one body – but who end up “settling” at a young age – as in, one of the two souls permanently leaving. Those who don’t are considered “abnormal” and are hunted and feared. In this world, the government press all sorts of propaganda and lies against hybrids and foreigners, leading people to believe that they are “unnatural”, “dangerous” and “to be feared”. I loved the world building in this book. It was enthralling and while what they did to the people of the Americas without them even knowing and to the hybrids made me sick, that’s how you’re supposed to feel. Addie was quite frustrating for most of the book and there were times when I felt like tearing my hair out because of her. In the beginning, she came across as somewhat spoilt, but she seemed to grow out of it as the story progressed. Thankfully, she did change, growing a backbone and becoming strong, I really grew to like her in the end. Eva was so sweet, and I couldn’t help but feel sorry for her – trapped, paralysed and unable to move. I’m so glad that she got her chance! I love her and Ryan together and even before anything really happened, I shipped them so much! I feel that we didn’t really get to know Devon all that much. He was the hacker, and rather anti-social. While I selfishly wish that something will happen between Addie and him, I know that that’s not going to happen (synopsis of the third book). I love Ryan!! He is so cute, and obviously cares very deeply about Eva. He’s the mechanic and the coin sensors he made are just so awesome! Not to mention, he’s a bookworm too ;). Hally and Lissa were just the best. While I couldn’t find much distinction between their personalities, I really enjoyed their character. I felt so sorry for them though – a half foreign hybrid? That’s just the hight of social outcast. Also, it’s always amazing when there’s a character with the same name as you that you really like :). My heart went out to Lyle. He was just touched me so much and was filled with so much life. Since it was inevitable that Addie/Eva were going to have to stay in the hospital, I’m so glad that it meant that he was able to be healthy again! He, too, was a bookworm, which was super cool. A point that I am really curious about is hybrid marriages. After Addie’s reaction when Eva and Ryan kissed, it brought this up in my mind. After all, they are two different people, and I really hope that this is a concept that will be explored further as we venture deeper into the trilogy. All in all, it was a very enjoyable novel and I’ll certainly be on the lookout for the other two books.